Arsenal Star Aaron Ramsey has hinted he might be staying at Arsenal and also reveal he might also sign a new deal. There have been speculations for some time now that Ramsey is likely to leave Arsenal and that talks over a new contract has not been successful, though his current contract expires next summer. Arsenal recently appoints a new manager Unai Emery after Arsene Wenger left his position at the end of the season. Report as it that Emery's plan is to build the Arsenal team around Aaron Ramsey and Aubameyang, but if the player does not sign a new contract, that can't be possible. 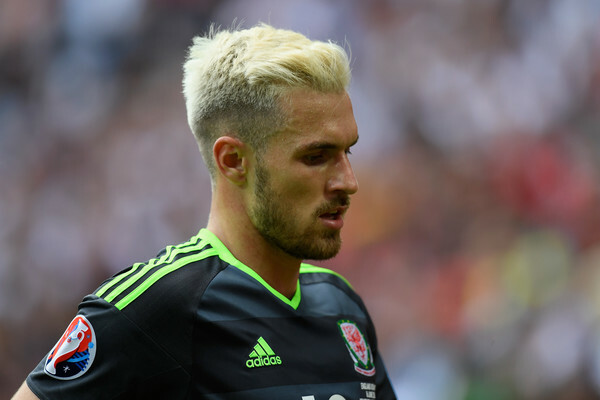 Ramsey who is on international duty with Wales in America as now hinted he wants to stay at Arsenal and wants to work with the new coach. This statement will now come as a relieve for the Arsenal board and they will hope the Wales international will pen a new contract soon.